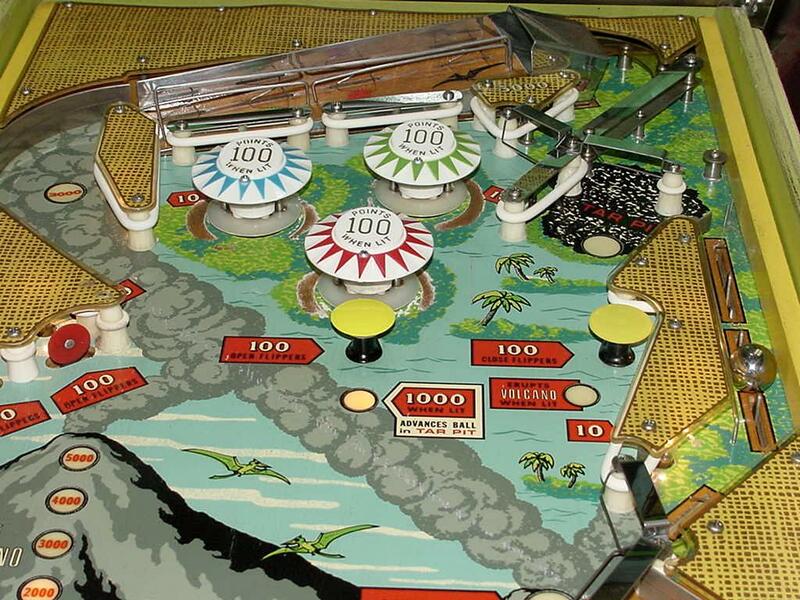 Description: Bally Four Million BC pinball, 4 players. Has up to 3 ball multi-ball and zipper flippers (flippers that move inward). 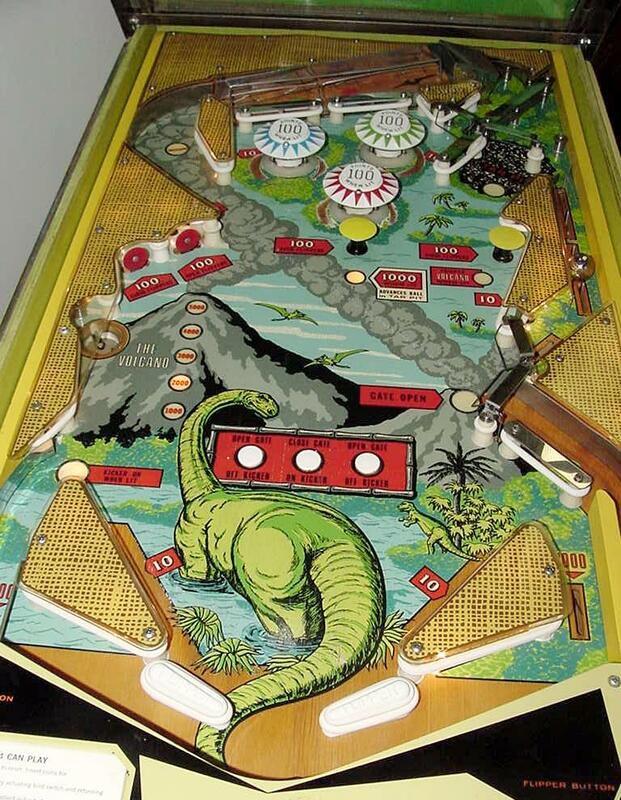 Very cool skill shot and "tar pit" ball lock feature for one of the multiball loads. 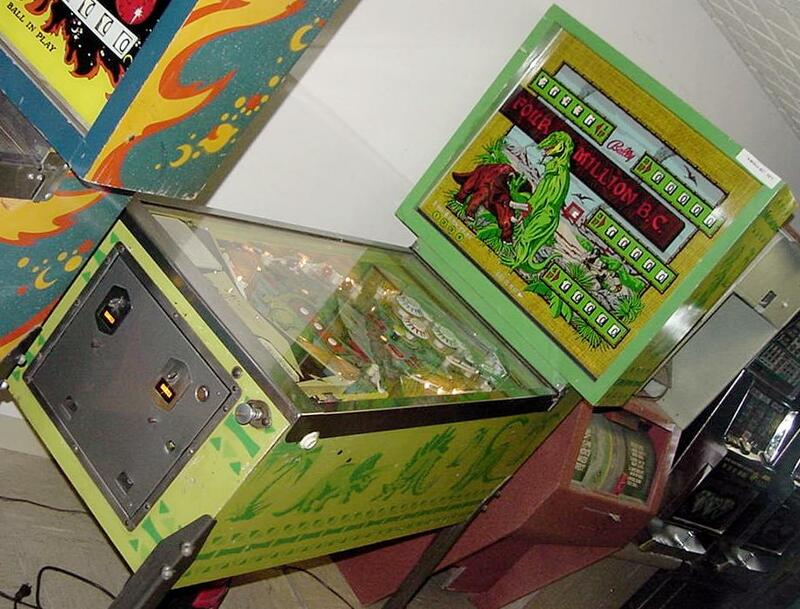 Unfortunately only has high score specials, no bonus, no extra ball, no playfield specials. 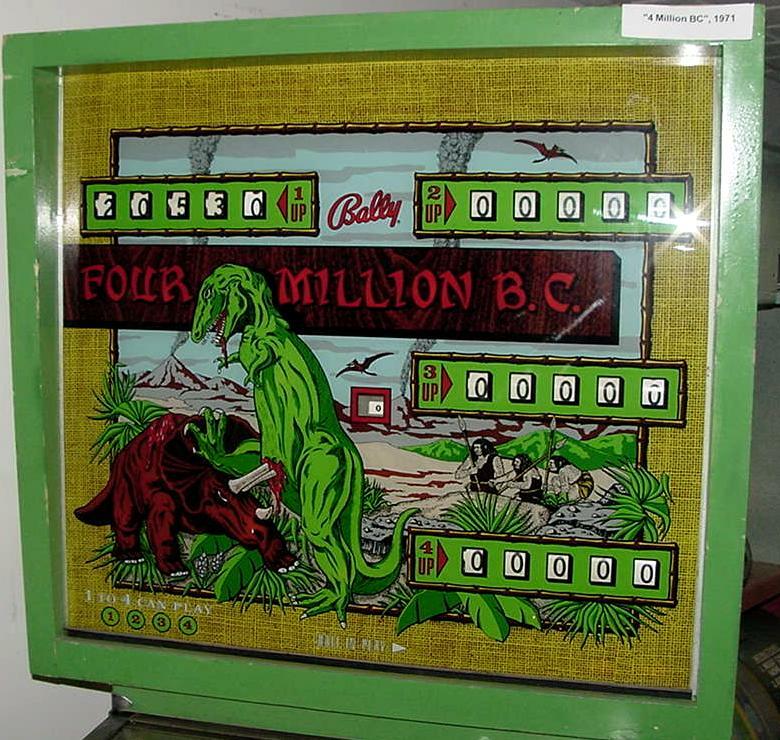 They made 3550 Bally 4 Million B.C. 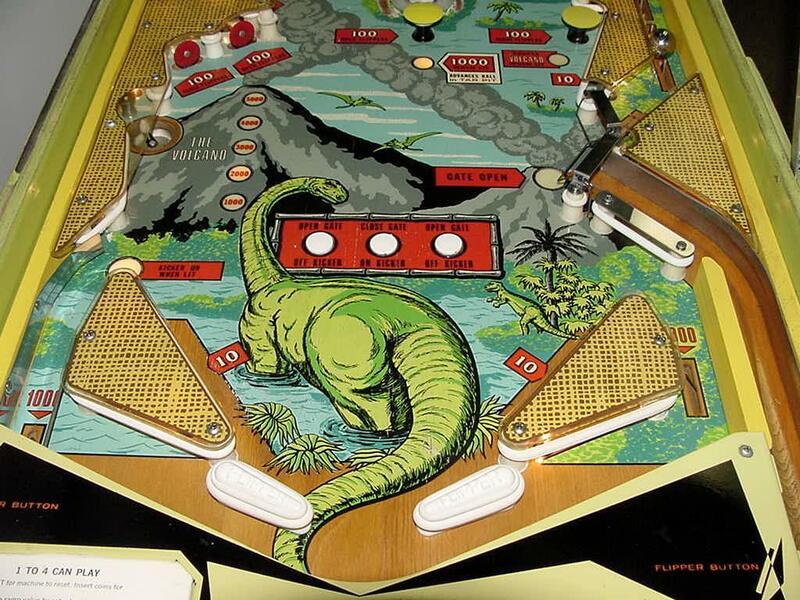 pinballs.